TV personality and Vet, Dr Katrina Warren, has teamed up with professional dog trainer, Kelly Gill, to create Wonderdogs. The book has step-by-by step instructions and photographs to teach you how to train your dog to perform 20 tricks. 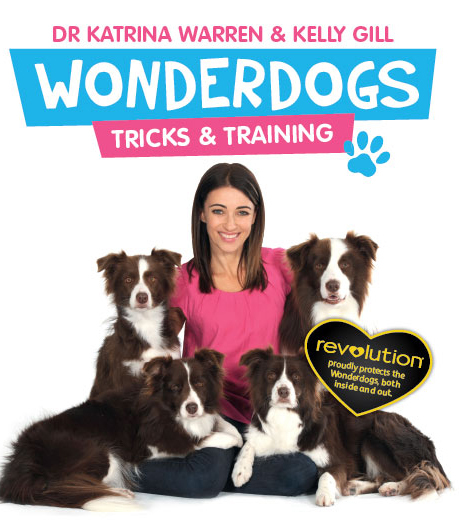 For the month on April purchase any 6 or 12 pack of Revolution from VetShopAustralia.com.au and receive a FREE Wonderdogs tricks and training book (valued at $24.99) with your order.